Meeting our customer's expectations and maintaining high quality workmanship requires experienced, hard working professional field techs. Our people take cleaning to a whole new level. 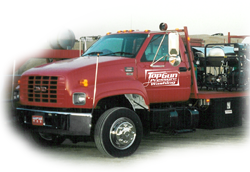 With specially engineered equipment, on highly maintained trucks, Top Gun is there when you need us. Our people are trained to do the job right the first time and make our customer happy. 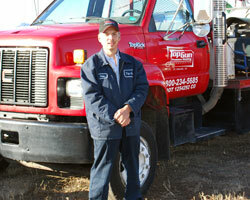 When timing, quality and customer service matter, let Top Gun Pressure Washing's field tech team make you shine. 13 years in Northern Colorado. Travis has been with Top Gun since 2005. 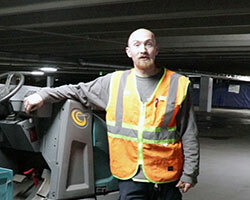 Coming from a back ground of constructing steal structures and working in the cleaning industry, Travis has elevated to the highest crew position. 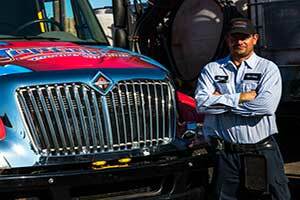 He has dedicated his career to the Customer and the company. 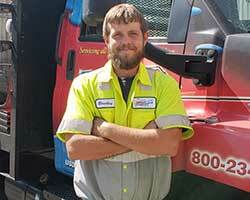 As part of an effective team, Travis continues to excel through further education and training. He strives to improve communication skills with the team along with all departments of the company. Travis's outstanding work ethic has helped Top Gun become one of the best service companies in the industry in the United States.
" I believe you have to be dedicated to your job in order to enjoy this type of work and maintain a good work ethic. Working for Pete and Stephanie makes it easier to achieve this, including everyone who works in the office upstairs." 2 years in Northern Colorado. Bradley has been with our team for over two years now. He brought with him experience in fleet washing. Bradley quickly rose through the ranks of pressure washers to Crew Lead I. He is a fast, efficient, team member with an eye for the details. His uncanny memory of jobsites and tasks grants our sales and administration team peace of mind that his crew will get the job done right. He enjoys the constant change in scenery that this job affords him. 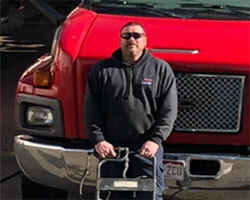 Billy, as Head Field Crew Supervisor, has been with Top Gun Pressure Washing, Inc. for over 20 years and has over 30 years of experience in the pressure washing industry. His background in industrial cleaning, is unmatched. 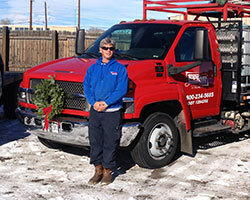 Billy enjoys managing and working beside his crew on pressure washing, sweeping, sandblasting and snow removal jobs. He has become mentor to many crew leaders within the company and collaborates with each department in team production meetings, project management and training. "As a crew leader, I appreciate hard working field men that are eager to learn and are coach able. The equipment we run and large rigs we use, provide efficiency to complete our jobs for the day. It's amazing to complete large structures in one day with multiple rigs and crew. It makes the job fun and satisfying. 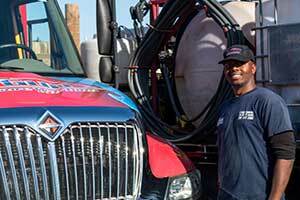 I hope to grow with Top Gun Pressure Washing in the future years to come." 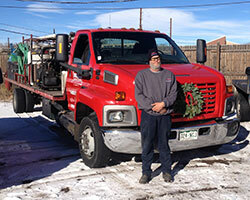 Tavish has become our strong hold in the south region of Colorado as well as training the night crew. Coming from a background of running night crew in oil fields, Tavish brought hiring, training, mechanical skill, supervisor experience and a strong work ethic to the Top Gun Field Crew. He strives to make the best crew and continually seeks perfection among his fellow workers in training. 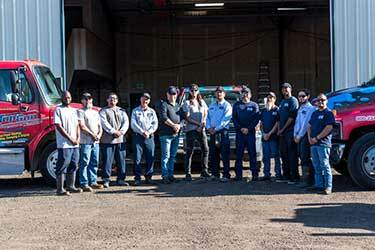 Tavish is passionate about having the best team and embrace's the Company's mission to deliver the best quality job and service to every client at every job site. He looks to set the example and works to execute the proper company policies. Tavish instinctively understands most jobs and continually seeks answers, collaborating with other team members to delivery customer desired results. Meet the Rest of The Top Gun Team: Sales & Marketing, Management, and Administrative.